Find the perfect teacher or instructor in University for private drum lessons in your home or in their studio. n school, drum corp, or perform or record professionally, private instruction is absolutely necessary in order to succeed. It's also my belief that you can have a lot of fun along the way! First, we start in a studio environment with no distractions, enabling us to get a lot done in the time we have. I supply all of the appropriate teaching materials at no additional cost to the student/parents. I also strongly encourage parents, especially of the younger students, to sit in on the lessons so they know first hand what's being taught (I have a designated, comfortable parents and guests area for that very reason). Then, if you're just starting out, we'll work through the basics. If you're already an Intermediate level student, we'll review basics to make sure the foundation is there. Basic techniques are the building blocks on which all careers or school successes are built. Then we move into areas that take the you where YOU want to go, whether it's great grades in school, auditions for a high profile drum corp, or performing and recording with either your own band or an existing pro band that you've auditioned for and taken the spotlight in. We can focus on one or more forms of rock, country, jazz, pop, Gospel, symphonic/orchestral styles, or concert and marching band styles. No matter the end goal, it's your life - and it's my job to build the foundation in you and help you get where you want to go. Above all, the key to successful private instruction is providing an atmosphere that promotes quality teaching in a safe environment, and instills the confidence a person needs to stand out in the crowd! I supply all of the teaching material at no additional cost. The in-studio lessons are taught in the basement which is finished w tile flooring and area rugs under the main set. The room also includes a work study area, waiting area with seating for parents, and parking is available. Home includes 1 dog that is not in the studio or student entrance. Parking is in the driveway. I supply all of the teaching material at no additional cost. I can also bring sticks if needed. I have been performing professionally since 1982, and during that time have played a wide variety of styles, including most forms of rock, country rock, Gospel, jazz, Broadway, symphonic arrangements, and marching band styles. The recording/studio work I've done has also required a variety of custom playing styles and techniques. Scott works really well with our son every week and we have seen rapid progess in our sons ability playing the drums. Scott customizes the lesson plans to his abilities and is very supportive. We couldn't ask for anything better and our son really looks forward to the lesson each week. Scott is an incredibly patient teacher. Our 6 year old has been working with him for quite a few months. Its really difficult to keep the attention of a 6 year old, but Scott has different techniques to keep him interested. He has taught our son to read music in a very short time. He has taught the importance of practice as well as warming up. He has no problem coming to our house to teach, which gives our son the comfort of home. Scott is very patient and extremely flexible and we are enjoying working with him. Its amazing seeing our little boy reading the music and playing the drums. We highly recommend Scott in every way! Scott is one of the best teachers I've come in contact with. He is great with people! He really goes into the need for knowing basics if you're going to do well at any of the playing styles. It makes it so much easier to play just about anything, instead of having to start from scratch to learn every individual style of music there is, which is really important when you're doing recording like I am. He's also great in encouraging individual creativity in playing, and not just staying "inside the box." That really makes a person stand out from everyone else, which is what needs to happen if you're going to be noticed and be successful. I'm a professional drummer, percussionist, and composer here in Denver offering a fresh new approach to drum instruction. I teach at two separate locations complete with dual drum sets and a complete sound system that allows for both my students and I to play simultaneously and at full live volume! As a Graduate of the California Institute of the Arts, I've been lucky enough to have studied with some of the most diverse masters of drumset and percussion from several continents around the globe. I've been a player of the drums for over 26 years now, and I'm still practicing and perfecting the art, gaining new friends, students, and live stage experiences on the way. lize, interact with other musicians, and have fun performing with your friends, is a dream gig by any measure, but it does take hard work, sacrifice and tenacity to achieve that level of recognition. Fortunately I have the background and skills to not only make our lessons interesting and exciting!, but to also get you up to speed so that you can enjoy the life of a musician as well!! Born in Santa Monica, California, I lived in and around Los Angeles in several areas before moving to Denver in 1990. I began on the Piano at age 4 and slowly gravitated towards playing the drums by my 9th birthday. My first teacher, AND first mentor in music: Mark Foster (Metro College of Denver & Colorado Symphony Orchestra), At a very early stage he introduced me to Jazz and Latin and gave me a solid understanding of Classical Percussion as well. My second instructor and Mentor: Jimi Bauchet, whom I took Rock, Progressive Rock, and Fusion lessons from, was a session and commercial artist in Los Angeles during the eighties and nineties. Upon High School Graduation I left Denver to study percussion with Dr. Pennington at Fort Lewis College in Durango, Colorado. It was here that I would get my first taste of performing music on a high art level, as Dr. Pennington was one of Michael Udow's young prodigies when he attended the University of Michigan, a nationally regarded school for the percussive arts. Two years at Fort Lewis College provided me with the perfect spring board to transfer and I then returned to my home state to earn a degree at the prestigious California Institute of the Arts (CIA). It was here that I had the honor to study with the likes of John Bergamo (Master Percussionist), Randy Gloss (John's closest disciple), Joe Labarbera (Jazz Drumset Master), David Johnson (My Mallet & Orchestral Mentor), Alfred Ledzekpo (African Percussion Tribal Leader), Wenton Welojo (Balinesian Gamelan Master and Celebrity), and Swapan Chardui (THE Tabla Guru, Truly an Honor). The Multi-Focus Curriculum allowed me to study a wide array of disciplines while still receiving a degree based heavily in Classical Percussion. My BFA is essentially a custom built degree with a strong background in Theory, Composition, Jazz Drumset, Tympani, Mallets, and a variety of pitched percussion instruments from around the world. Drumming is a very root level based instrument. It is primal in its nature and very emotionally driven. This is great in many ways, for playing the drums can be meditative, or used to relieve stress and pent-up energy, but the bottom line is that drumming is expressive and FUN!!! So keep in mind that while there is a student-teacher relationship that I must keep, in order to get my points across, you really should enjoy each and every lesson while you're learning. It's proven that you'll retain more of the information that I'm teaching if I can get you to leave with a SMILE on your face!! OK, so the real trick to what I do as a teacher that sets me apart is my approach. I don't have a "cookie cutter" format for stamping out drummers that all sound the same and have the same library of beats to pull from. If you're a beginner or a seasoned pro, I will custom tailor a lesson, or a set of lessons in order to maximize our time together, all while allowing you to develop your own individual voice on the instrument. For beginners, I will set up a more structured program to get you up to the level where we can begin to experiment a little more and be able to play along with some popular songs. Using a few time tested books, some rudimentary exercises, and few hand written examples, you will begin to see results immediately. Together we will keep a binder of notes that contain all of your previous and current exercises, and from lesson to lesson you will be able to see the progress that you are making through your collection of notes and music. With this method I have taught everyone from 5 to 65 how to navigate their way around the drums, so you will be in good company if it's your first time on this instrument. Pearl Drumsets, Ludwig Drumsets, Sabian cymbals, Istanbul cymbals, DW drum pedals, Various reading materials, a stereo, mixer and isolation headphones for playing along with music tracks at full live volume. Comfortable thrones to sit on while playing. Various instructional DVDs that can be borrowed from time to time. Moeller Technique, Multi-Fulcrum Technique, Four-Limb Coordination and independence, Odd time, Polyrhythms, Mixed Meter! Capable of teaching drum set Reading and Notation! Also capable of teaching ALL STYLES of music. If you can think of it, I have played it. Too many to list here. Mike is going to be great instructor. He was able to quickly assess my level of experience and we already have the next few lessons planned out. I'd recommend him for any age or style you want to learn. Mike is an exceptional teacher. I’ve been a teacher, my parents were both teachers, we pay a lot of tuition to put our children in schools with (theoretically) well-paid and highly qualified teachers: IOW, I am really picky about teachers! Mike is the epitome of patience and clearly devoted to music and instruction. He is professional and conscientious. He kept my son challenged, engaged, and motivated to practice and improve. Truly, Mike is the kind of teacher you wish populated every classroom. Mike is awesome! Super down to earth and easy to talk to. He is understanding and patient and seriously takes the time to help you grasp new concepts and increase comfortability with new styles. He is an incredible musician and really understands the deeper meaning behind any drum style or technique that you are trying to learn. I have been a self taught drummer my whole life and I moved to Denver to attend CU for music after getting out of the Army. Mike helped me to prepare for my entrance exams and my drum kit audition, which I knocked out the park. I am now a full blown music student and officially on path to my dream career. Thank you Mike!! I'm looking forward to more lessons and to continue improving! Kevin J. has been writing, recording, and playing music for over 25 years. Music is meant to be fun and it is his goal to help others enjoy music. He has been a teacher for 11 years and has composed hundreds of songs. He is passionate about teaching his students the songs they want to learn, no matter the difficulty. He specialized in guitar, drums, and song writing. Kevin has a great way of encouraging others to keep going no matter what challenge is in front of them. 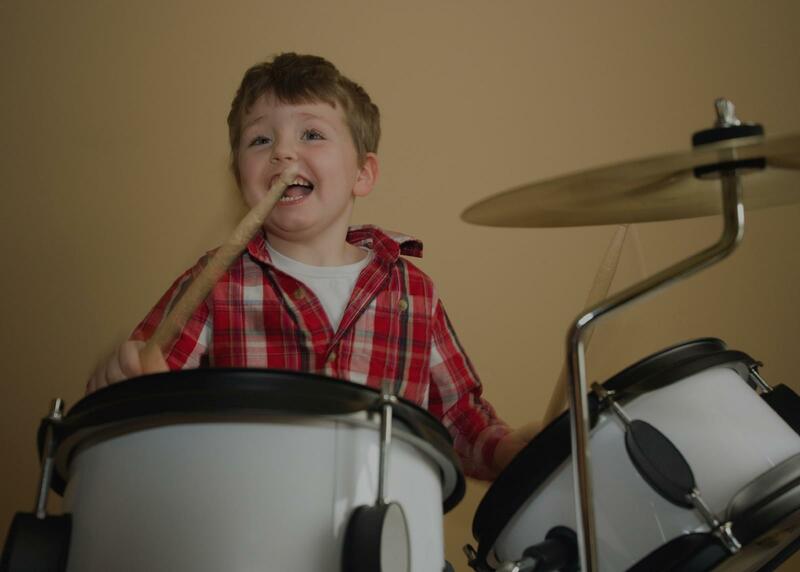 I am thrilled to hear that you or your kid is ready to start taking drum lessons! I have been teaching drum set and percussion for eleven years, and last year finished my master's in percussion performance at CU, after a music education degree in Michigan. I start students off with "repeat after me" style exercises to develop technique, coordination, and musical tone on the instruments. Then, we can dig into playing the music (s)he loves! I'm always curious to hear if there is a certain band or drummer my student admires? I am a working drummer and percussionist in all major styles, from blues, funk, and jazz to classical and marching band. In my off time, I enjoy playing in the mountains with my girlfriend and our cat. Tommy got his start playing drums when he was 7 years old, when he climbed into the kitchen cabinets and started banging on pots and pans. This humble beginning led to his parents to buying him a drum set, then to Tommy joining the drum team in middle school. In high school he became a part of the drumline in the marching band, in addition to participating in the Jazz Band, Symphonic Band, Concert Band, and Winter Percussion Ensembles. During this time he developed his skills in playing marching snare drum, drumset, marimba, and concert percussion instruments. dying studied Music, Business, and Film. His studies led him to attend the Recording Workshop - School of Audio and Music Production in Ohio, where he earned his certification in Music Production and Audio Engineering. All of these experiences inspired Tommy to start his own record label and publishing company, Vibrato Music Group Inc., giving him the freedom to be a session drummer, songwriter, and record producer. Working with talented musicians every day has been the highlight of his career. Tommy's goal as a teacher is to help students go from beginners to professionals, helping them to reach their fullest potential - not just in drumming but in life. The skills he teaches his students are tools that they can apply to anything they choose to do in life, and he shows them that through hard work and dedication to their craft, they can achieve anything. Tommy helps his students learn is by providing visual and audio examples, then demonstrating the real-world application of those examples. His students learn in a variety of ways, including muscle memory exercises, practicing playing at different tempos, and playing along with examples. Tommy is great. He is always on time and really connects with my son. He has really helped my son grow with the drums and be excited about playing. I teach a wide variety of students ranging from beginners to advanced, with my youngest student being 5 years old and my oldest in his late 50's. I believe whether you are a beginner, thinking about music as a hobby or someone who wishes to pursue music as a career, I am positive I can cultivate and grow your musical capabilities based on your specific needs. Providing my students with knowledge from a musician who is actively furthering their career is important to me, I want my students to know that I am aggressively pushing the boundaries of drumming alongside artists such as Grayson Erhard, Emma Mayes & the Hip, and my own jazz influenced hip-hop trio Smirk. My name is Ryan and I offer private drum lessons. Music, specifically drumming, is my passion. I am extremely grateful to have the opportunity to make a living performing & teaching drums. Watching a student work on a new song for months and finally get to the point where they are ready to perform it is a truly great feeling. Many of my students have been with me since they started playing drums, I feel very grateful to maintain such fantastic students. Any time I have a show locally in Colorado, I often put one of my students & their family on the guest list and allow them to come backstage and see what it's like to perform on stage in front of a crowd. This offers the student an opportunity to see their teacher perform and a fun night for the family. My drum lessons are rooted in a foundation of technique and then applied to all styles and genres of music. Music should have personality and exploring this with each individual allows for a rich learning experience and connection. I also find that learning the history and culture behind different styles of music helps one connect directly to what is being played. Listening is a huge part of my lessons, we will listen to lots and lots of music! Through my lessons, we will explore why rhythm is so important and the role that the drummer plays in different ensemble settings. The environment in which we study will be easy going and light hearted with lots of opportunities for student engagement and direction. At the end of the day, playing music should be fun and something that you want to do. Want to play along to your favorite bands and learn new drum patterns? We can do that. The average cost of 60-minute drum lessons in University is $45. While the exact cost will vary depending on the teacher, type of lesson, and your location, you should expect to spend anywhere between $45 and $45 per hour. For the best experience, we typically recommend 60-minute drum lessons. However, students looking for a more affordable option may want to consider a shorter lesson length of 45 or 30 minutes. On average, 45-minute drum lessons are 18% less expensive at $37, and 30-minute lessons cost 34% less at $30. Curious how much drum lessons cost in your area? Do a quick search to get local prices for the best drum teachers near University. "Mike is a true musician who loves his craft and loves teaching it. My daughter is having FUN learning drums!" rest in drumming to go learn from Mike. He's very talented and admits he's a bit weird but the way he teaches is just fun. he's always telling you what he liked about how you're drumming and how you can improve." basic fundamental instruction so that he can feel confident as he will be transitioning into the school band class soon. It is quite obvious that he genuinely cares about his students and wants the best for them. We definitely recommend this guy if your looking for someone to help you get started on the path to becoming more musically inclined :)"
"Scott is one of the best teachers I've come in contact with. do well at any of the playing styles. It makes it so much easier to play just about anything, instead of having to start from scratch to learn every individual style of music there is, which is really important when you're doing recording like I am. He's also great in encouraging individual creativity in playing, and not just staying "inside the box." That really makes a person stand out from everyone else, which is what needs to happen if you're going to be noticed and be successful." Denver, CO teacher: Scott B.
n nothing but patient and very professional with him. My son really enjoys the lessons and is learning so much more than I expected. Super happy with Mike and his knowledge of the drums along with his patience and communication. Would highly recommend him!" ents and second, he is very good with teaching those skills in a easy-to-learn way to children. My son is 7 years old and learning the drums. With only three lessons, he can perform a basic 8 count rhythm using both hands and the base with his foot with no prior experience. Nathan is very patient, firm when necessary, and inspiring when he plays. My son is always excited to learn more from him!"